Fiduciary duty is a matter of trust — it involves entrusting someone with something of value and assuming that they have your best interests in mind. Whether they are your financial professional, a trustee or someone else with responsibilities under the law, they have specific obligations to uphold and can be held accountable if they fail to do so. If you believe someone in a fiduciary role put their own interests ahead of yours or neglected an important responsibility, we can advise you about whether you have a case — and work with you to help you win fair compensation if you do. 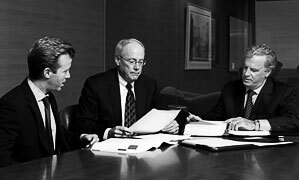 We represent clients in fiduciary litigation involving estate matters, investment losses and other disputes stemming from trust-based relationships. Fraud is also a matter of violated trust, but it can involve outright dishonesty, deceit or misrepresentation that results in loss. For example, if you were instructed or induced to invest money that you wouldn’t have invested had you been told the truth, you may have a fraud case. 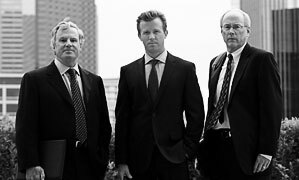 At Daniel Sheehan PLLC, we have represented numerous clients in Texas civil litigation matters involving business and attorney fraud and other forms of illegal professional activity. Contact us to consult a Dallas and Fort Worth lawyer for fraud or breach of fiduciary duty in Texas. 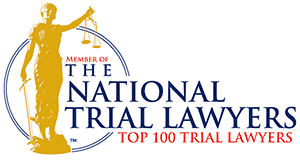 Based in Dallas, Texas, the law firm of Daniel Sheehan & Associates, LLP, provides experienced representation in legal malpractice and business matters. 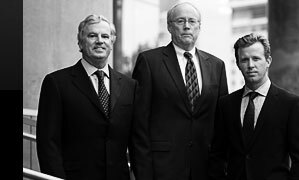 The firm's civil trial attorneys serve clients in the DFW Metroplex and elsewhere in Texas, including Dallas, Fort Worth, Denton, Plano, Frisco, Allen, Richardson, McKinney, Irving, Arlington, Grand Prairie, Flower Mound, Carrollton, Mesquite, Farmers Branch, North Richland Hills, Lewisville, Duncanville, Keller, Haltom City, Seagoville, DeSoto, Midlothian, Forest Hill, Rendon and Lancaster, and other cities in Dallas County, Tarrant County, Ellis County, Johnson County, Kaufman County, Rockwall County, Collin County and Denton County.